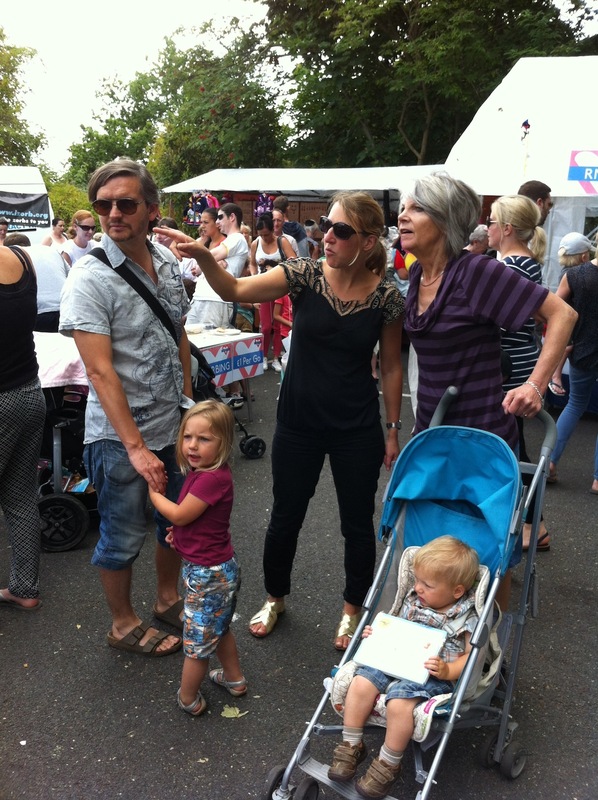 Louisa and Julian came round with Tove and Harper to join us in our first Love Loughton fun day! 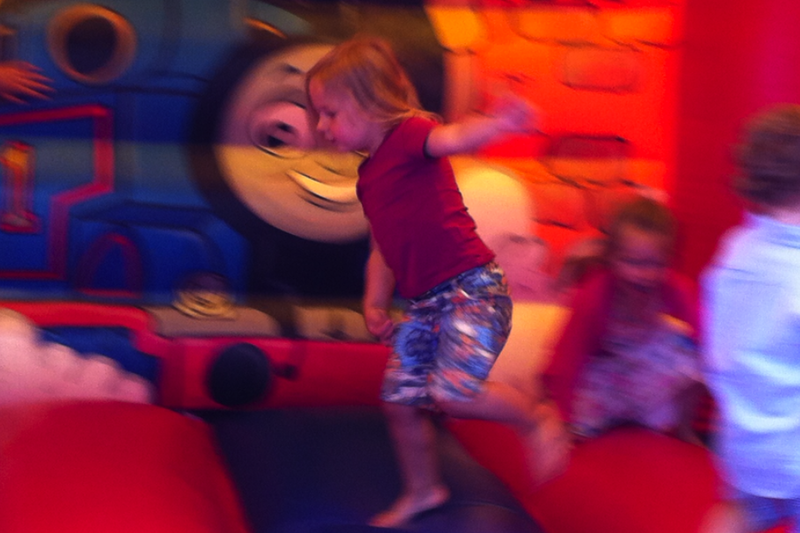 There were street stalls, bouncy castles, bands and crowds of families. This was masterminded by St. Mary’s church and had religious undertones but that didn’t particularly bother me as the atmosphere created was a vast and welcome change to the otherwise TOWIE prevalent culture of the town. Tove was particularly captivated by Reachback, a local band, that played by the fountain at the back of the post office. In the evening we joined Colin and Susan for dinner at Seasons in Woodford (opposite Cartright Cunningham & Haselgrove – our solicitors) for an anniversary meal. The Manns and Leamans got married in the same year and around the same time of year, so we all had 42 years of bliss to celebrate. Seasons was good – delightful, delicious food if a bit pricey. Meanwhile, Julian went off to Horse Guard’s Parade with his mum, Jonathan and Jonathan’s partner Marcia to watch the Beach Volleyball.